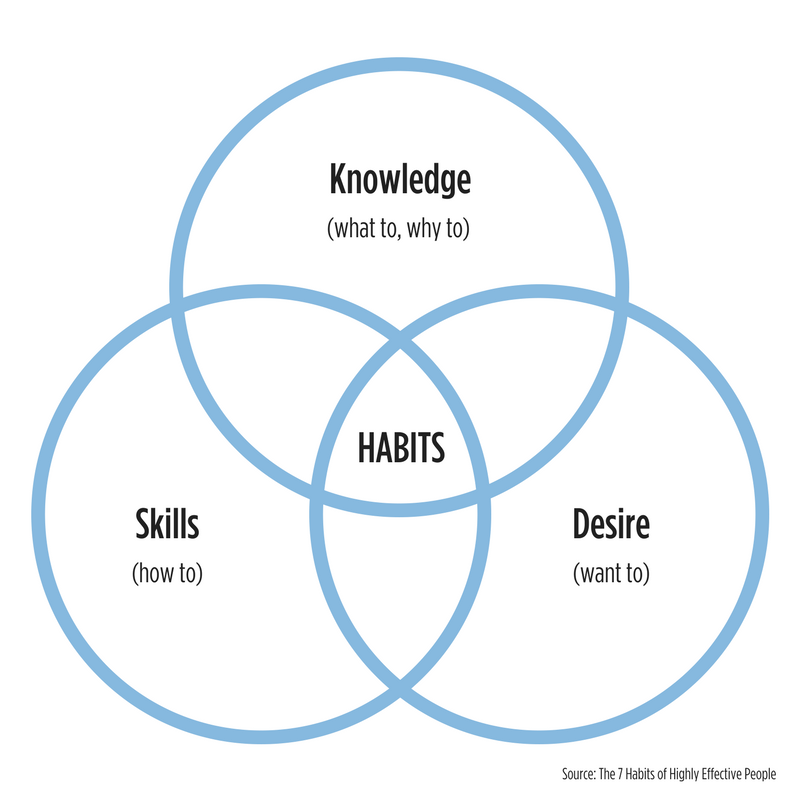 The habits we form are based on these three parts: knowledge, desire, and skill. Knowledge is what to do and the why to do it. Skill is the how to do it and desire is the motivation and the want to do it. In order to remove a habit or to create one, we have to utilize all three of these components to our advantage. Knowledge – What do I need to learn? What resources do I have available to me? Why do I want this change – is it for me or for someone else? Desire – Why do I want this change? What can I do to strengthen my motivation? Who can I enroll in my cause? Who can I ask to support me? Skills – What is my plan to overcome/change? What skills do I need to gain? Who can teach me what I don’t already know?